When you have the kids home with you all day long, it becomes apparent, very quickly, that there are about 95 hours in a day as opposed to the standard 24 for everyone else who doesn’t have kids home all day. At a certain age, you can expect them to not need you to be entertained and to find something to occupy themselves. However, there’s a wiggly age where, if you don’t set the agenda, it’s worse for everyone if you just let them be free range. 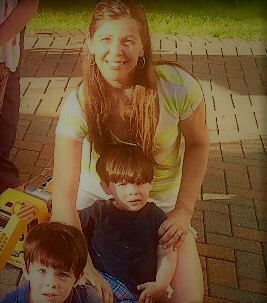 Last summer, I remember feeling like I was a camp counselor, trying to come up with an activity or an outing every day to occupy my little guys, who were 2 years old at the time. Yes, we could have stayed home – and I’m not against that – but honestly, it was more work to stay home than to wrangle to the troops and go out to do something. This summer, I realized this was coming, so I tried to be proactive. I’m not the ‘pre-school-teacher’ type by nature, so crafts and activities aren’t really intuitive to me. Bring them to Target to ride in the wagons? More my speed. But as these boys with endless energy are getting older, I knew that gig was going to be up real soon. I’m pretty simple, and I like to keep thing simple. And I think my boys are simple too. Things that require a lot of planning, prepping or cleverness? To be honest, I’ve pretty much got my plate full trying to keep them fed and safe. Anything besides that is sort of beyond me right now. This post may contain affiliate links; I earn a small commission on items purchased at no extra charge to you. I took a few simple activities and doctored them up a bit. 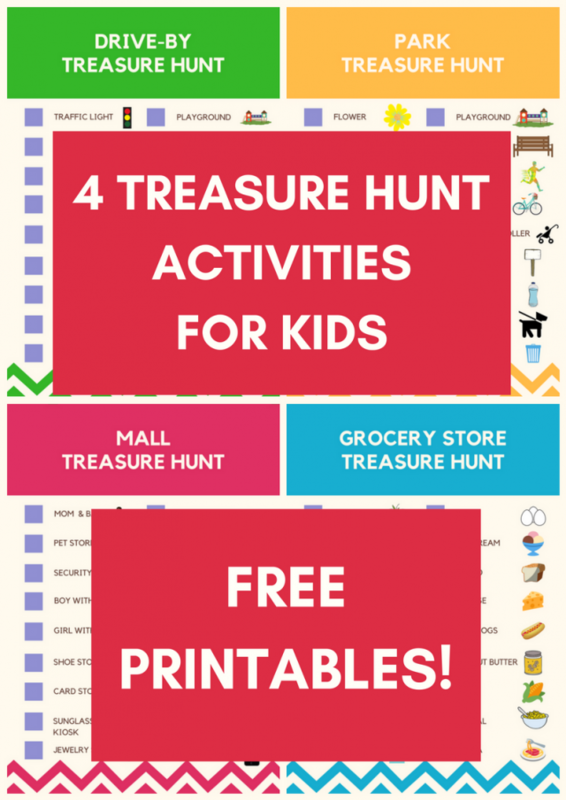 By putting a fresh spin on them and calling them ‘treasure hunts,’ now it was something fun and trendy. 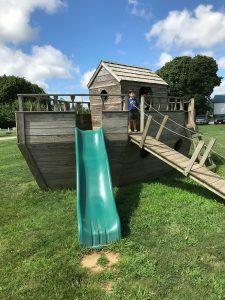 There’s some exciting and adventurous and pirate-esque (which apparently is the latest rage for all things toddler and pre-school – or at least that’s what I’ve learned from every. single. cartoon), about treasure hunts. 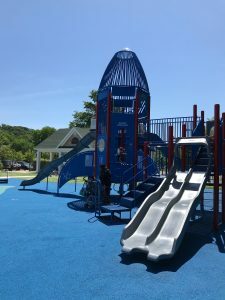 So, instead of just going to the playground this summer, we were going to look for new playgrounds and now we were on a ‘playground treasure hunt.’ (And there’s #1). 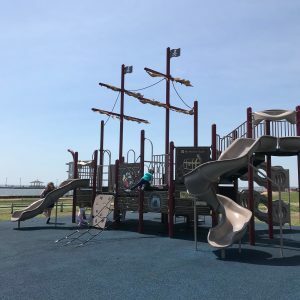 All it is is a different playground, but when it’s framed like that, it’s a little more adventurous and you can use that one all summer long. “Today we are going on a playground treasure hunt!” And all you have to do is drive them to a playground you haven’t been to before. If you want to make it extra fun, you can even dress them up in pirate costumes! 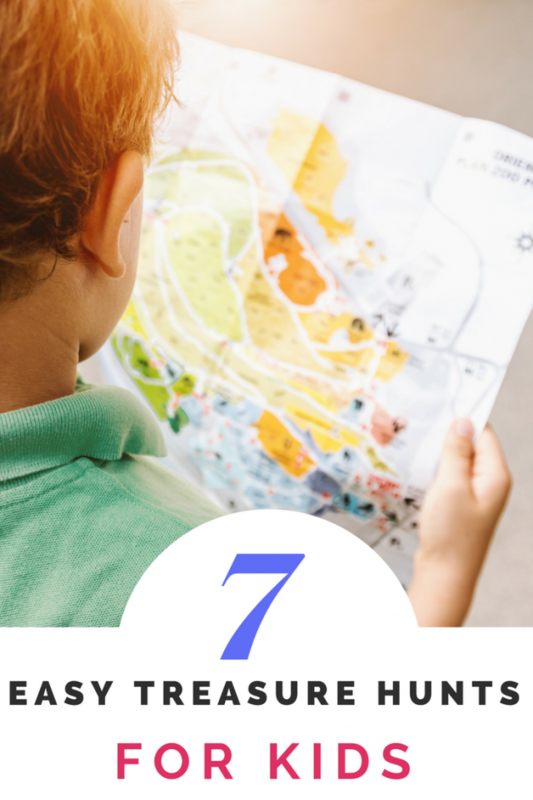 Here are 7 different kinds of treasure hunts you can do with your kids. Most would work for ages 3 and up, and they can easily be adapted to the upper elementary grades as well. Well, I gave that one away, but it’s as easy as that. 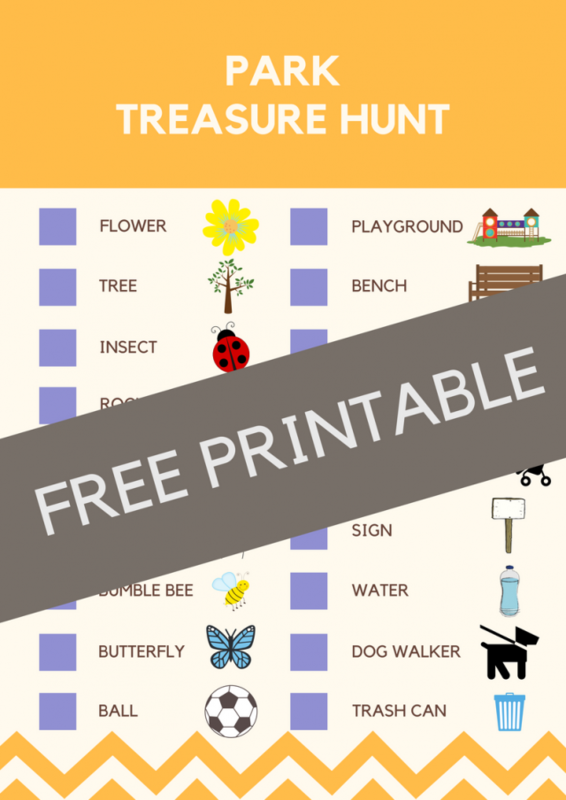 Tell the kids you’re going on a playground treasure hunt. The only prep required is to scout out new playgrounds in your area, and you’ve got an activity that can keep you busy for a few hours. If you include the drive and a stop at McDonald’s or for ice cream if they’re good, you can almost make a day of it. Hit ‘repeat’ and do this several times over the summer. 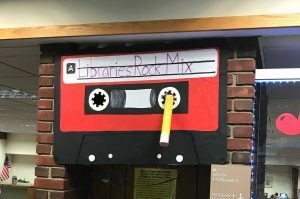 Libraries have been our best friends this summer! I usually would just take them to our local library, but I decided to check out the play areas in the neighboring ones, and they’re fantastic! This may or may not work, depending on where you live. I’m on Long Island, where it’s just pretty much one continuous town overlapping the next, so I have at least 10 or more libraries in about a 30-minute radius. The kids are really just playing there, but it’s a new place and a free activity, so you can’t really go wrong. Most libraries have something for every age group – play areas for the little ones, computer games for the older ones, so it will keep most of your kids happy. 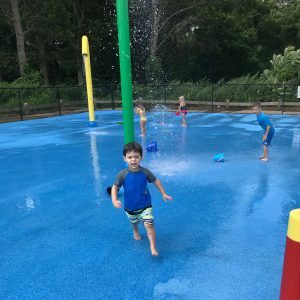 Lots of our libraries have outdoor play areas that are amazine, and several even have water and sprinkler pads outside, too! Perfect for summer and definitely worth ‘treasure-hunting’ for! It’s the same idea as above. By saying, ‘Hey! Let’s go on a library treasure hunt’ and picking a new place, it just makes it a little more adventurous. 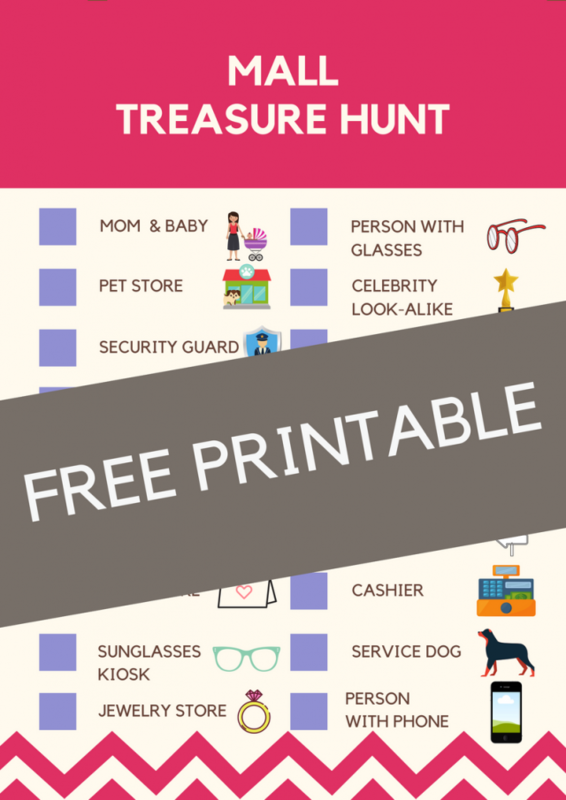 The next 5 treasure hunts all have free printables that you can download. They are basically scavenger hunts with printable checklists. Most of them are good for pre-school through elementary ages, although you might have to slightly adapt them by age. Each list also comes with a picture next to the item, so it also works for kids who don’t read yet. This is a great activity for when you want to keep them busy but contained. 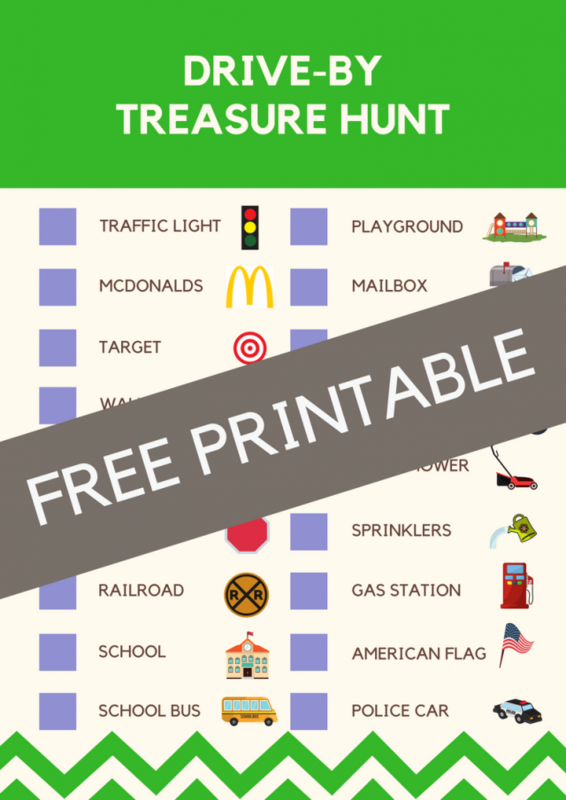 For this treasure hunt, you just have to drive around looking for the items on the list. They never have to leave the car. Basically, it’s “I-Spy” but you have a list and you call it a treasure hunt, and it’s a little more exciting. And all it costs is a little bit of gas. For the younger ones who can’t really follow a sheet, if you’re familiar with the list and know where the items are on your drive, you can call them out as you approach them to get them ready to find them. This is a playground activity with a goal. Instead of just going to the park to play on the playground (which is fine! Do that, too! ), this is something you all can do together, and it gives them a mission. This is a scavenger hunt where your kids have a list, and they have to check off the items they see. I created a printable you can use, or you can Google and look on Pinterest also. If your kids are old enough and if your group is big enough, you can send them out in teams. If you have little ones who can’t read, you can man the list and call out items as you approach them. Or, you can read the list first, so they can try to remember what they’re looking for. There are so many ways you can do this, but it beats just wandering aimlessly around the mall for a few hours. Here, your kids have to look for different items on the list. This is great for little ones still in the wagon. You can coach them and guide them along if your kids can’t read yet, although pictures are on the sheet as well. If your kids are old enough and you feel comfortable with them walking around the grocery store alone, you can give them the list to check off. It’s a great activity to acclimate them to the grocery store, too! 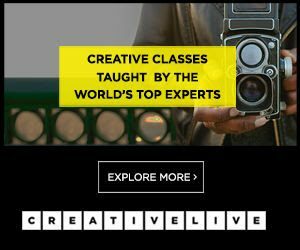 If you feel the need to incorporate a little formal education into the summer activities, here’s one with an easy set up that you can do at home. This one comes courtesy of education.com. This is a fun activity where you can find items in your house starting with every letter of the alphabet. Grab the printable by filling out the box below! 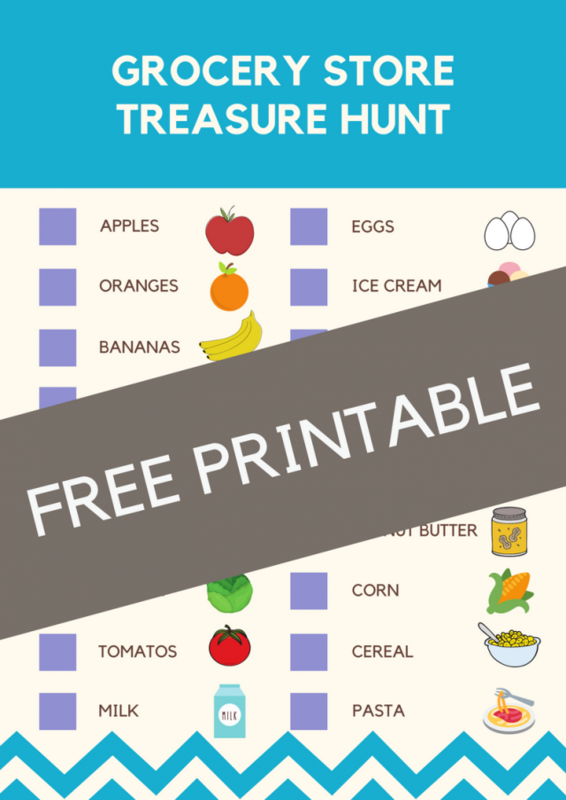 Grab your Treasure Hunt Free Printables here! By leaving your email address, you will also be subscribing to our monthly newsletter with more great resources just like this! Not interested? No worries! You can unsubscribe at any time! 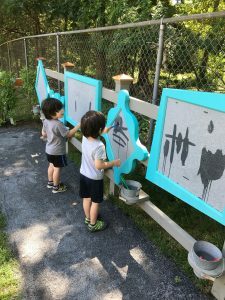 You may need to tweak these a little, depending on the ages of your kids, but my favorite thing about them is that they really require no prep, no mess, the drive adds a little bit more time to the activity, they’re free, and if you choose a different location, you can press’ repeat’ on many of these. Combined, you have a little arsenal of activities for when the “I’m bored”s kick in. If you try any of these, I’d love to hear how they work out for you! Take some pictures and tag me on Instagram! Thoughts? I’d love to hear them! Leave a comment so we can chat!